Limited to just 100 copies, we have a cassette tape available containing 14 songs that come from the sorry era of my hard drive crash. This is where a ton of stuff got lost so I basically decided to up sticks and move on. A slew of songs were left behind in various stages of completion and rather than attempt to re-record them all, they were tarted up and pieced together for this release. 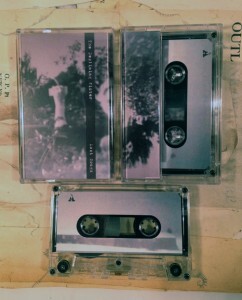 BUY from Norman Records (UK) or Sanity Muffin (US), I’ll have a few copies too and will post up details shortly. Thanks to Billy Sprague for putting it altogether and to Barrie Cummings for mastering and helping with the artwork. Neither of whom I remembered to thank on the artwork.